Accreditation Prepares Agency for Operational Readiness | CALEA® | The Commission on Accreditation for Law Enforcement Agencies, Inc.
On March 22, 2014, at the Garden Grove CALEA Conference, the Rocklin Police Department led by Chief Ron Lawrence and his Command Staff, proudly received CALEA Accreditation for the third consecutive three-year cycle. During the department’s first eight years of CALEA accreditation, Rocklin Police sworn and non-sworn staff grew accustomed to meeting and proving CALEA’s standards as well as experiencing the benefits of doing the same. One benefit has been the department’s ability to sustain its excellence through a system of quality assurance benchmarks known as our operational readiness. As a SWAT Team Leader for over 10 years, I have always stressed the importance of being mission or operationally ready at all times. Prior to CALEA, it was difficult to gauge how mission ready the SWAT team and its operators were at any given time. It was typically learned that something was either broken or supplies were low during training or during a critical incident. Somehow we made it work but it was always stressful. Fearing that a piece of equipment would be broken or missing just when it was needed the most was not the way to go into a critical incident. Then along came CALEA Law Enforcement Standard 53.1.1; this standard requires the department to maintain a written directive for inspections that identifies the person responsible, the frequency, and the procedure used to conduct the inspection. This standard has been a big factor in assuring that our SWAT team’s assets are maintained and kept in a state of mission readiness. As part of my operational readiness responsibilities, I inspect the department’s tactical response vehicle, diversionary devices, firearms, ammunition, and the SWAT van’s inventory. During one of my inspections in 2013, I learned that one of our less-than-lethal weapon systems was not operating as intended. The air tank on this system was malfunctioning, thusly incapacitating one of the options from the SWAT team’s tool box. By not having the right tool for the incident, the team’s liability, thus the department’s liability, was increased. Thankfully, during the time that the issue with the less than lethal weapon was identified and fixed, the SWAT team did not need the weapon. The benefits of operational readiness inspections have not only been realized by the SWAT team, they have benefited every division and unit in the department. Rocklin Police Department Technical Assets Coordinator (TAC) Matt Diridoni shares another success story about being in compliance with Law Enforcement Standard 81.3.2. TAC Diridoni is responsible for many operational readiness inspections; one of which is the department’s emergency back-up generator. This generator plays a key role in keeping the department’s computer system, radio system, and other vital systems up and running in the event of an electrical grid shut down such as a black-out. In April of 2013, while conducting his operational readiness on the department’s emergency back-up generator, he discovered that the generator would not operate and was useless if needed in a department emergency. Although TAC Diridoni was able to resolve this issue in a short time, the consequences of this failure could have been catastrophic if the generator would have been needed. As a law enforcement agency, we are called upon to respond to critical incidents and these responses must be well planned and coordinated. In order to be successful and to limit liability, our employees must be able to trust that the systems and tools they need are functioning as designed. 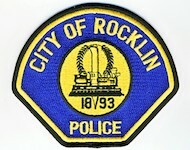 Because the Rocklin Police Department is in compliance with CALEA Law Enforcement Standards, we have the written directives that ensure that we maintain readiness by being able to identify and fix system issues. This helps to build trust in the department’s ability in sustaining operational readiness.